Summary: Are lunar Sabbaths fact or fiction? Many people know very little about lunar Sabbaths, but much is being said about the concept nowadays. Every argument thinkable is being used to convince us of its legitimacy. The idea is sweeping through many Sabbath-keeping churches bringing confusion and doubt, and it is gaining momentum. What is the truth about lunar Sabbaths? It is my desire to present simple, clear, and logical truth on this important subject. I hope to strengthen you with a Scriptural basis for keeping the true seventh-day Biblical Sabbath that God gave to humanity at Creation. The lunar Sabbaths are in total contradiction to the seven-day cycle given to us by God at Creation. 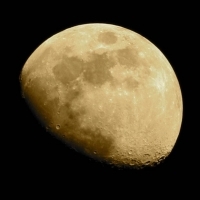 The concept of the lunar Sabbath uses the moon to determine when the week begins and ends. This being the case, the Sabbath might begin on any day of the week. The moon has a 29.5 day cycle. Because you cannot split a day in half, this means that some months will have 29 days while other will have 30 days. Imagine the confusion. Six days shalt thou labour, and do all thy work: But the seventh day is the sabbath of the LORD thy God: in it thou shalt not do any work, thou, nor thy son, nor thy daughter, thy manservant, nor thy maidservant, nor thy cattle, nor thy stranger that is within thy gates: For in six days the LORD made heaven and earth, the sea, and all that in them is, and rested the seventh day: wherefore the LORD blessed the Sabbath day, and hallowed it (Exodus 20:9-11). And ye shall count unto you from the morrow after the sabbath, from the day that ye brought the sheaf of the wave offering; seven sabbaths shall be complete: Even unto the morrow after the seventh sabbath shall ye number fifty days; and ye shall offer a new meat offering unto the LORD (Leviticus 23:15-16). Leviticus makes it clear that God established a seven-day week, the Sabbath coming at the end. Seven multiplied by seven is 49. This means that the day after the seventh Sabbath would be the 50th day. If God wanted us to keep lunar Sabbaths, this passage of Scripture would not make sense. In fact, the Scriptures are quite clear that the Sabbath comes on the seventh day of the week. God created the world in six days, and rested on the seventh day. He blessed the seventh day, hallowed it, and asked us to keep it holy as well. That weekly cycle has never changed and never will. God established it. Once God establishes something it is established forever. And it shall come to pass, that from one new moon to another, and from one sabbath to another, shall all flesh come to worship before me, saith the LORD (Isaiah 66:23). This recent agitation over lunar Sabbaths actually began early in the 20th century, when a number of critical scholars rejected the Biblical origin of the Sabbath and suggested its origin was related to several “evil days” in the Babylonian calendar. This confused many honest hearts. The origin of the Biblical Sabbath is definitely connected with the Creation week and was instituted by God Himself three days after He made the moon—not seven days after He made the moon or seven days after the first day of the month. The Sabbath has nothing to do with the month or the sun. It is God’s memorial of Creation. It is related to the passing of time, from the beginning. Work six days and rest on the Sabbath. This weekly cycle has never been broken. Let no one deceive you. These are the feasts of the LORD, which ye shall proclaim to be holy convocations, to offer an offering made by fire unto the LORD, a burnt offering, and a meat offering, a sacrifice, and drink offerings, every thing upon his day: Beside the sabbaths of the LORD, and beside your gifts, and beside all your vows, and beside all your freewill offerings, which ye give unto the LORD (Leviticus 23:37-38, emphasis added). Six days shall work be done: but the seventh day is the sabbath of rest, an holy convocation; ye shall do no work therein: it is the sabbath of the LORD in all your dwellings (Leviticus 23:3, emphasis added). And ye shall proclaim on the selfsame day, that it may be an holy convocation unto you: ye shall do no servile work therein: it shall be a statute for ever in all your dwellings throughout your generations...Ye shall do no servile work therein: but ye shall offer an offering made by fire unto the LORD (Leviticus 23:21, 25, emphasis added). On the first day shall be an holy convocation: ye shall do no servile work therein. Seven days ye shall offer an offering made by fire unto the LORD: on the eighth day shall be an holy convocation unto you; and ye shall offer an offering made by fire unto the LORD: it is a solemn assembly; and ye shall do no servile work therein (Leviticus 23:35-36). Let me make one point clear: I am not judging those who see the Sabbath otherwise. I’m sure their intentions are good. But be assured that there is only one true Sabbath, which comes at the end of every six days of work. This weekly cycle, set forth by the Creator God Himself after six days from the beginning of His Creation, has never changed since it was first established.